Dr. Etheredge is now accepting patients at our Baton Rouge Campus. Please contact us at (225) 924-2424 for availability. Dr Stephen Etheredge is a Sports Medicine Physician specializing in non-operative care of sports and musculoskeletal injuries. In addition to focusing on all aspects of the musculoskeletal system, he is also recognized as a local specialist in management of sports concussions. 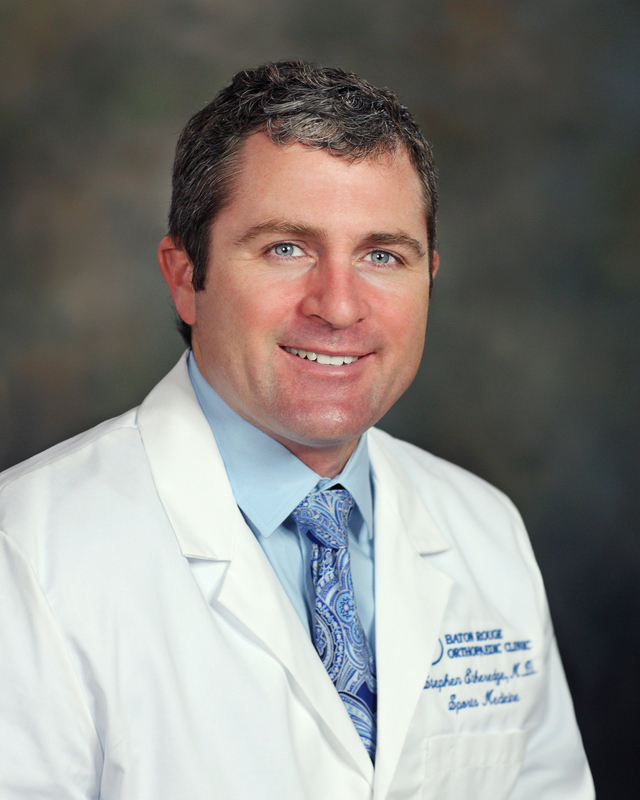 He treats both adult and pediatric patients in Baton Rouge at our Bluebonnet Clinic. 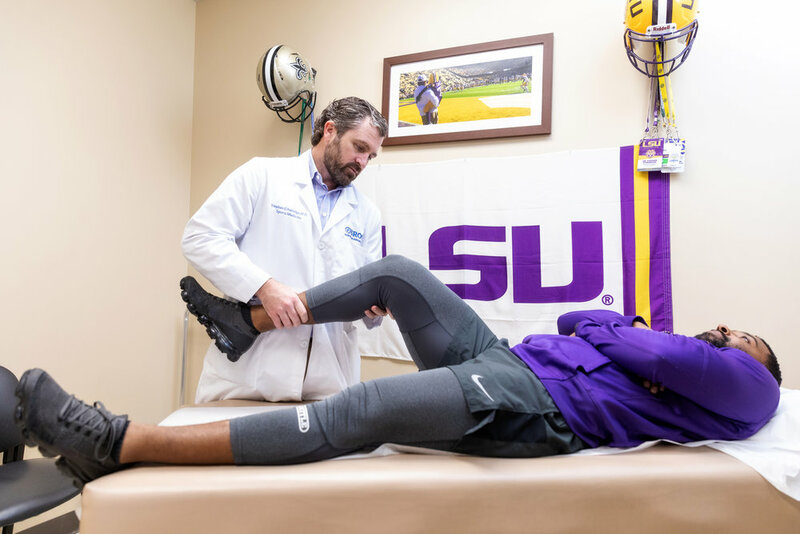 In addition to his care for our patients, he is the team Physician for Louisiana State University, Parkview Baptist School, Baton Rouge Soccer Association, Traction Sports Performance and other local sports organizations. Dr Etheredge is also a Regenerative Medicine specialist using up to date medical techniques including Prolotherapy, Stem Cells, and Platelet Rich Plasma (PRP) to care for acute and chronic injuries. These treatments are used for a variety of conditions including tendinitis, plantar fasciitis, patella-femoral issues, arthritis, and other orthopaedic problems.